When you’re facing surgery, you’ll choose options that reduce the pain and discomfort after treatment and get you back to your regular life fast. Laparoscopy offers just that, and the doctors of Angelina Surgical Associates in Lufkin, Texas are experts in a wide range of laparoscopic surgical techniques, including bariatric and colorectal procedures. Call today to book an appointment. Sometimes called keyhole surgery for the small size of the necessary incisions, laparoscopy is surgery that replaces the surgeon’s line of sight through an incision with tiny video cameras while using similarly tiny tools to perform the work inside your body. Laparoscopic surgery is minimally invasive, which reduces the impact of surgery on tissue in your body surrounding the areas being treated. This leads to fewer complications, shorter recovery times, and less discomfort after surgery. There are some limitations to laparoscopic techniques, but continuing innovation, including the introduction of robotic assistance, expands the range of this exciting surgical advance. Our surgeons recognize the advantages that laparoscopy offers, and both are specialists in current laparoscopic procedures. Though laparoscopy is much less invasive than conventional techniques, it’s still surgery, and typically performed while you are under general anesthesia. Surgery starts with an incision of about one-half inch near the area upon which work proceeds. A tube is inserted into the incision, and typically carbon dioxide is pumped into your body to create clear views and room to work. The laparoscope is then inserted into the tube to give your doctor visual access. Additional incisions of about the same size are made as needed for the instruments necessary for the procedure you’re undergoing. Laparoscopy is both a diagnostic and operative function, so you may have surgery so that our surgeons can fix a problem, or, in some cases, may learn more about your condition. What are the pros and cons of laparoscopic surgery? The impact on you, the patient, is the principal advantage of laparoscopy. Not only do smaller incisions heal more quickly, tissue under the skin, such as muscle, has much less damage during the surgical procedure, so less internal scar tissue forms. In many surgeries, it’s this additional tissue damage that causes extended hospital stays and long recovery times, not the surgery itself. In the case of some procedures, the limited access of a laparoscopic incision restricts the movement of instruments within your body, so laparoscopy isn’t suited to all procedures. 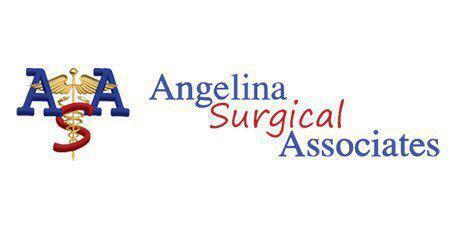 Angelina Surgical Associates uses the da Vinci surgical system to expand the capabilities through surgeon-controlled robotic arms.